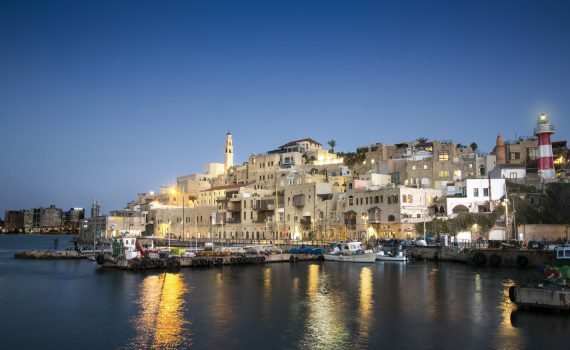 While it’s been rumored for a while now (amongst several of Asia’s prominent carriers), yesterday Cathay Pacific (CX) announced that they’d begin flying four times a week from their Hong Kong (HKG) hub to Israel’s Ben Gurion Airport in Tel Aviv (TLV). They will be flying their brand new A350’s which feature economy, premium economy and business class. Cathay Pacific’s new A350-900. Image courtesy of Cathay Pacific. These flights are on sale, but not available for award bookings just yet. When they do become available – any day now – Cathay Pacific tends to release a good amount of award space in all classes of service. American Airlines AAdvantage Miles – Hong Kong, or ‘Asia 2’, to the Middle-East using AA will cost you 25,000 in economy and 40,000 in business each direction of travel. If you’d like to fly from the U.S. to Hong Kong and onto Tel Aviv using AA miles, AA will charge you two separate awards, as you cannot transit Asia to get to the Middle-East with their award chart. 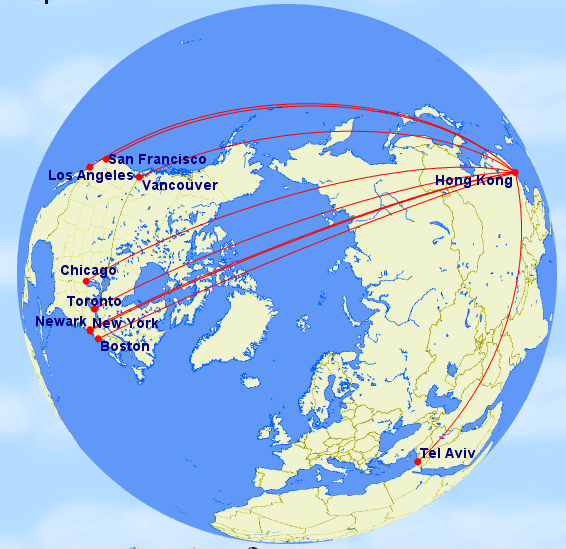 The great thing about AA miles is that you can fly from somewhere else within the Asia 2 region, connect in Hong Kong and continue onto Tel Aviv. In order to do this, you’ll need to call and book the award over the phone with an agent. Alaska Airlines Mileage Plan Miles – Using Alaska Airlines miles will actually get you a lot farther than using AA miles. With Alaska miles, you are allowed a stopover – as long as you don’t mix partners. So you could fly Cathay from any of their North American gateways, use Hong Kong as your stop (for the same mileage price) and continue onto Tel Aviv as your destination. This will cost you 25,000 in coach, 62,500 in business and 70,000 in first class – for one way of travel. Generously, Alaska allows you to route via Asia to continue onto the Middle-East. Award space on Cathay Pacific is pretty generous if you are able to book far in advance, or within 1 – 2 weeks of departure. Though there is no first class on the HKG – TLV route, it would be worth the extra miles (for some) if you could snag it on your 16 hour flight if you’re coming form the East Coast. Route news like this is always exciting. El Al already operates a flight between Tel Aviv and Hong Kong, but more competition, especially in the premium cabin space for business travelers is always good for the consumer. These flights will also be fuel surcharge free when using miles! Add to that some truly sweet redemption options and I’d call this a winner. Cover photo courtesy of Cathay Pacific. Sorry for the hiatus, but now I’m back! I recently became re-eligible for one of the best hotel credit cards currently on the market: the Chase Hyatt Visa card. Since I closed this card in October 2015, I did not currently have it (at the time of application) and the 24 months have since passed. I wrote about my experience in determining the date here; fortunately enough, I was instantly approved for the product and confirmed the sign-up bonus with the Chase representative. Also keep in mind that this product is currently exempt from Chase’s ‘5/24’ rule. Receive two free night certificates for use at any Hyatt worldwide upon spending $1,000 in three months. Annual fee is waived for the first year, and then $75. There other benefits, but those have stayed the same throughout. 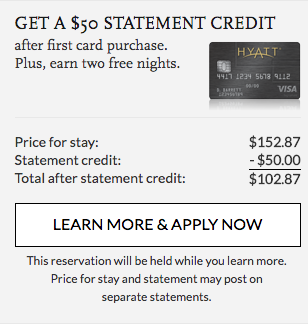 These offers, particularly the one with the $50 statement credit was usually unlocked when making a Hyatt hotel booking. There are two current offers, one public and one targeted. Two 2 free nights are still there – as is the nice 5,000 point bonus for adding an authorized user, but the biggest difference is the spend requirement. Granted, that spend requirement change isn’t huge – if you can spend the $1,000, you can probably spend the $2,000. The bigger change is that the annual fee of $75 is not waived. This offer has the annual fee of $75 not waived. Recently, people have reported receiving a targeted offer for 40,000 Hyatt Gold Passport points after spending $2,000 in three months. There, too, the annual fee isn’t waived. 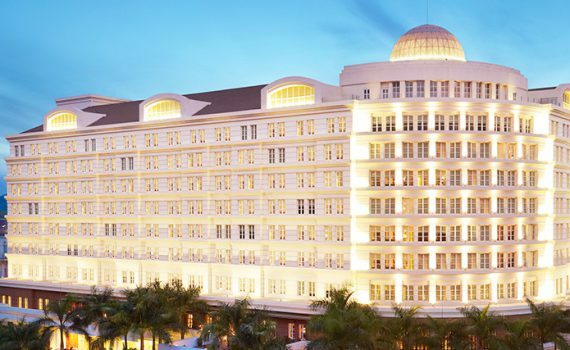 (You also receive 5,000 Hyatt Gold Passport points for adding an authorized user). So after the spending, authorized user and the sign up bonus, you’re looking at 47,000 Hyatt points. The 2 night certificates can be used at any Hyatt – and if used at the most expensive properties like the Park Hyatt Sydney, your certificates would be worth 60,000 points. This is, in my opinion, an inferior offer and if you do receive it, I recommend applying for the public offer. 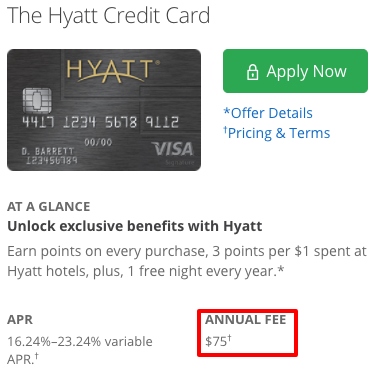 The only reason to go with the targeted offer is if you stay at low level properties and can get a lot of use out of 47,000 Hyatt Gold Passport points. Go to hyatt.com and search a random hotel location with a random night during the week. Select the basic room mate and sign into your Gold Passport account. Scroll to the bottom and upon seeing the reservation total you should see an offer with the statement credit. $50 statement credit and a little bit of work. After clicking ‘Learn More & Apply Now’, you’ll be taken to the Chase credit card landing page. There is an annual fee is listed, and the spending requirement of $2,000 is listed, too. It could have been a fluke for me, but either way, you’re getting $50 off for any purchase. After being approved, I would confirm with Chase via Secure Message and phone the terms of the new cardmember bonus. After being approved for this card, I confirmed that I’d receive the statement credit, the 5,000 bonus points for adding an authorized user and, most importantly, the spending requirement of only $1,000. If I’m charged an annual fee of $75, it’ll largely be offset by the nice $50 statement credit. As with everything, time is of the essence and this offer may or may not stick around. If it makes sense for you, and you’ve been thinking about getting the Hyatt card, try the above method for the best of the available offers. Cover image courtesy of Park Hyatt.